By Sarah Ruane | November 12, 2015. 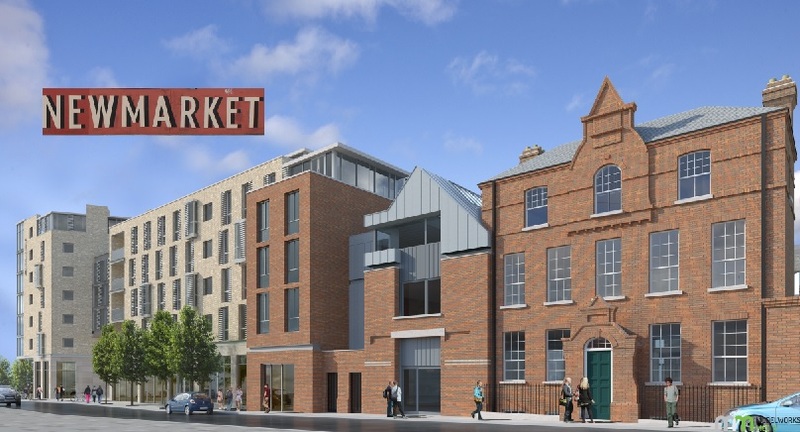 Planning permission has been granted for new student accommodation at Mill Street, Newmarket, in the southwest inner city. Plans for the site will see the area transformed into a 400-bed student development also featuring shops, a restaurant and commercial space for occupation by local businesses. The facility will be operated by the Global Student Accommodation (GSA) Group and will have the name ‘Uninest’ once completed. It has been estimated that 150 new jobs will be created during the construction and refurbishment of the building with the main construction contracts being given to locally-based contractors. The accommodation is not expected to open until September 2017. At this time it will provide 15 full time positions. 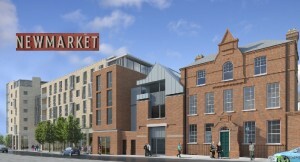 A Dubai-based student accommodation development and management group, GSA already runs similar purpose-built schemes in central London, Dubai, Tokyo, China and Australia, but the Mill Street development will be its first in Dublin. However, the company says it intends to invest some €250 million in the capital in the next five years. The new development comes at a time where there is a huge shortage of student accommodation available in the inner city Dublin area. The latest rental report by property website Daft, which was published in mid-August, shows the number of properties available to rent in Ireland remains extraordinarily tight, with just 4,600 units available on August 1st, as against 6,800 on the same day a year earlier. By comparison, on August 1st, 2009, there were an estimated 23,000 properties to rent nationwide. Students attending D.I.T, and Dublin Business School will benefit hugely from this new accommodation due to its location being a mere 15 minute walk to their colleges. First year optometry student Aisling Roche spoke of how positive it is that something is being done to help tackle the shortage of accommodation for students in the inner city area, “It’s great that something is finally being done. If it had been available to me for this year I definitely would’ve looked into it. At the moment I’m staying in accommodation that is a half an hour walk from my college”, she said. Work on the site will also focus on the refurbishment of No. 10 Mill Street, a pre-Georgian townhouse and one of the last remaining “Dutch Billy” style 17th century houses in Dublin. This development also will provide a further step in the rejuvenation of Newmarket as well as the greater Liberties area.